This loss was a commercial fire loss. The bathroom was stripped down to the metal studs during the mitigation phase. The supply lines and drain assembly required replacement as they were removed during the mitigation phase because they were fully compromised during the fire. Due to the heat associated with the fire, the existing drain vent melted and molten plastic slipped down into the drain line located within the slab. The drain pipe was scoped and it was determined that the molten plastic remained within 3 LNFT of the original floor drain assembly. 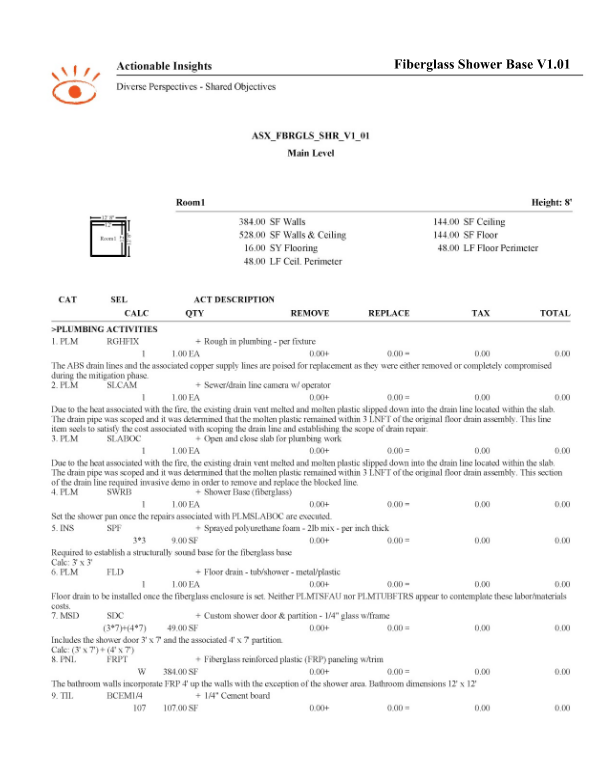 In this Insight Sheet(C), we seek to highlight the order in which these trades are executed in addition to highlighting some of the challenges associated with setting a fiberglass shower surround in a restoration environment. We also explore the cost associated with accessing the drain work within a slab. 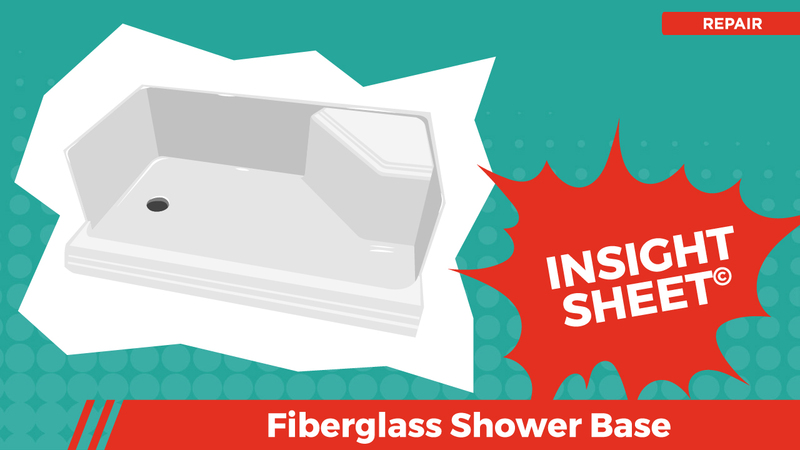 This Insight Sheet(C) exists to clarify how one might invoice for the installation of a fiberglass shower base. This does not seek to include or make concessions for all equipment and/or activities as it relates to a loss of this nature. The chemical make up of spray foam may react with the chemical make up of the composite material of the units.